True Point's Hi-Fi Cable Supports. 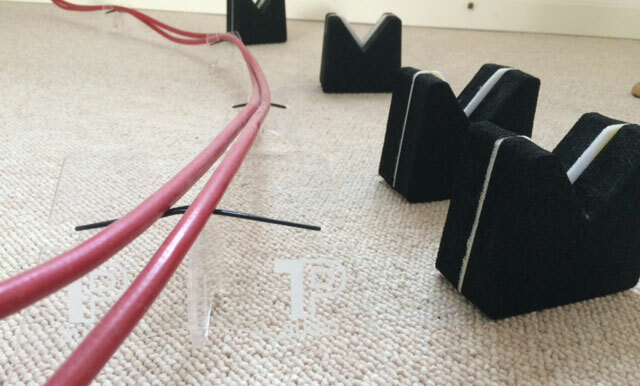 True Point (UK) Ltd offers specially designed Cable Supports to lift your cables off the floor. This helps to isolate the effects of vibration transferring from the floor into the cable. They are ideal for speaker cables, but can also be used for other audio equipment cables. The design is based on a triangular three point system which gives both stability and superior isolation to vibration, far better than floor block types. We offer two sizes of Cable Support with heights of approximately 90 mm and 45mm. Our Cable supports are manufactured by precision laser cutting, and the design of the Cable Lift has been created to securely hold the cables in a position where vibration is impeded. The design is such that the assembly of the two laser cut pieces form a whole when assembled that is both rigid and pleasing on the eye. The Cable Supports are available in black or clear acrylic and in wood (for you to paint or varnish the wood to your preferred colour). 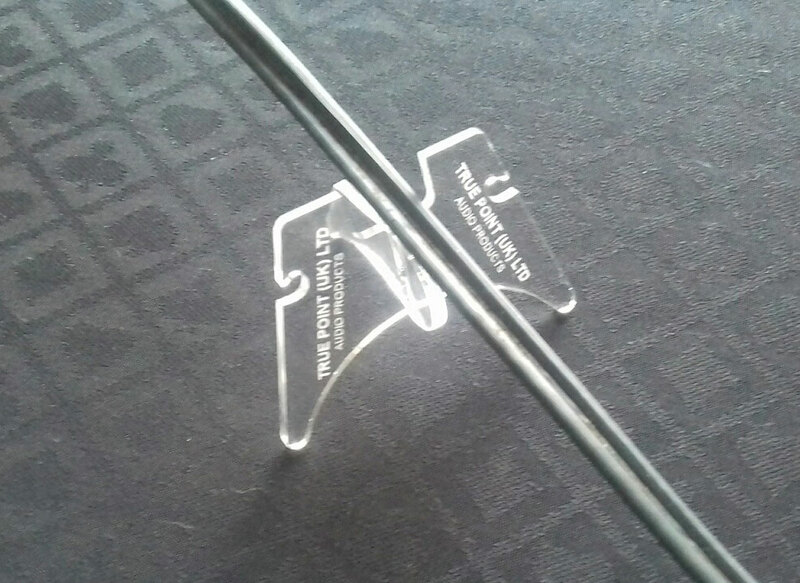 We prefer the clear because they are almost invisible and unobtrusive, as shown in the photo below. 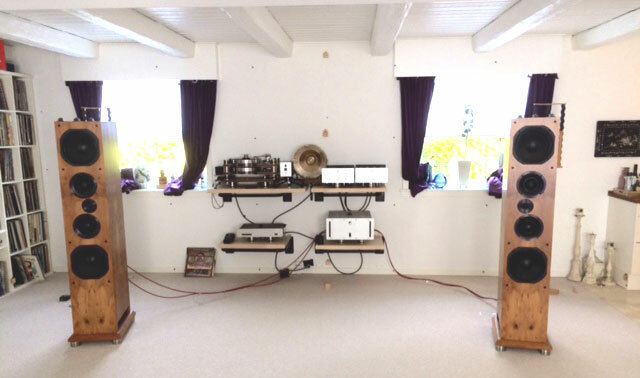 "The difference between the cable lifters I used until now (see photo below) and your new designs are much bigger than I could have imagined your cable lifters clearly gives greater and more transparent sound picture with tighter and better bass details. The length and flexibility of the cable determines the number of Cable Supports required. With the system powered off, lift the cable 100mm at its mid point. If all the cable is now off the floor only one large Cable Support in the middle is necessary. Repeat this operation at the point where the cable still touches the floor. If necessary use the rubber band supplied to hold the cable firmly in position in the recess of the Cable Support.